Find hotel near Bursa Museum Of Turkish A .. The museum is a must visit for every traveler simply for the fact that it exhibits the art and craftsmanship of ordinary folks more than that of artists. One can find the daily wearables, tools and supplies used by the nomads and public of that time. It also exhibits the coins that were used during ottoman rule. Apart from that, the Iznik ceramics, curtains, weapons, jewelleries, and beautifully inscripted tombstones are another aspect of this attraction that makes people come to this place. Food and beverages are not allowed in the museum. Children must be accompanied by at least one adult. 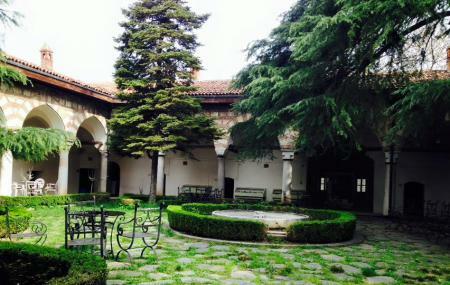 How popular is Bursa Museum Of Turkish And Islamic Arts? People normally club together Emir Sultan Camii and Tofa's Bursa Museum Of Anatolian Cars while planning their visit to Bursa Museum Of Turkish And Islamic Arts.